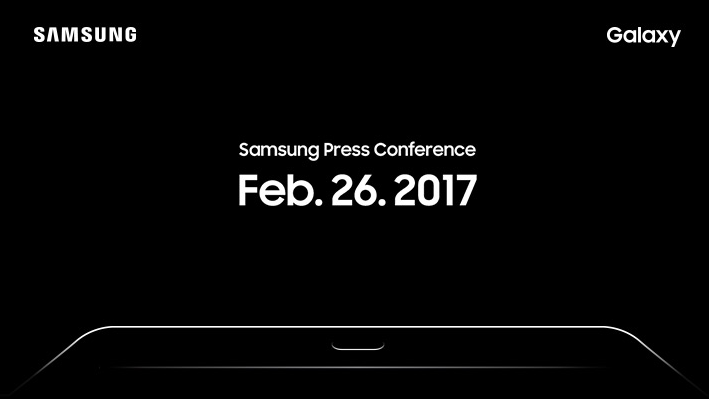 Samsung has sent out event invites to its Mobile World Congress (MWC) 2017 press conference at 7pm CET/6pm GMT on Sunday February 26. Last year we thought that the Samsung Galaxy S8 might be announced at MWC, as the S7 was last year. But it's become clear that a March or April launch is far more likely. According to various rumours, the new tab will come with a a Qualcomm Snapdragon 820 quad-core CPU (plus Adreno 530 graphics) and boast a hefty 4GB of RAM. Those specs will churn out the 9.6-inch display's 2,048 x 1,536 resolution without any drama. There's also rumoured to be a rear-facing 12 megapixel camera and a 5 megapixel unit on the front. Of course, if you're looking for the very best tablet to buy at the moment, you need to get Apple's 9.7-inch iPad Pro. We reckon it's the ultimate combination of premium design and specs around right now. Can Samsung do better? We'll know more at the end of the month! Now why not check out our guide to the best tablets around right now?